Your financial support is critical for the continued operation of IIT. With your help, we can continue to provide needed computer education for eager students who desire to help themselves, their family, and their country. Your donation will go a long way to help raise the quality of education in Haiti. 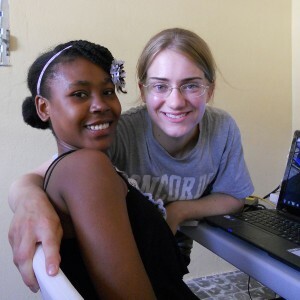 Did you know that $180 will support one student at IIT Haiti for one full semester? Your support will make a real-time difference! Now is the time to get involved to see this dream become a reality today! You can support IIT safely and securing online! One way to support IIT is by simply sponsoring a student. The actual cost for one student to attend IIT for one semester is $180. Your donation will go directly to helping a student continue their schooling throughout the semester. It is because of generous individuals and companies that IIT will continue to train new leaders for the future of Haiti. Your donation may also be made in the form of a personal or business check. Please make your check to: “IIT Haiti” and mail to the the address below!